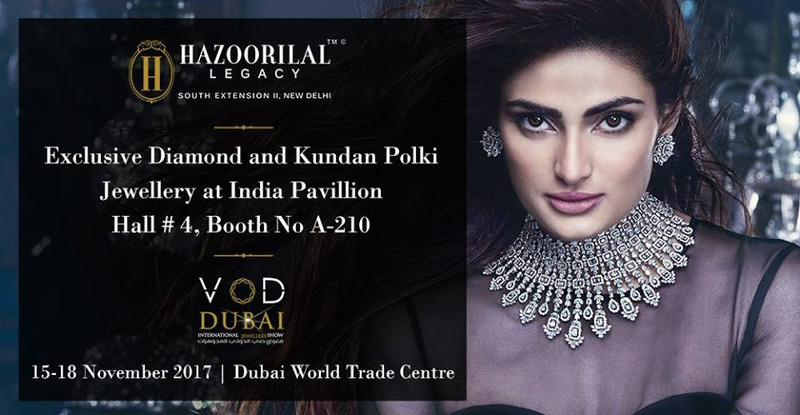 Join as at VOD Dubai International Jewellery Show for an exclusive fine jewellery collection by Hazoorilal Legacy. Delicate stunning jewels crafted with excellence, our collection of diamond and kundan polki jewelry is truly one of a kind. We welcome you to explore the world of Hazoorilal Legacy.